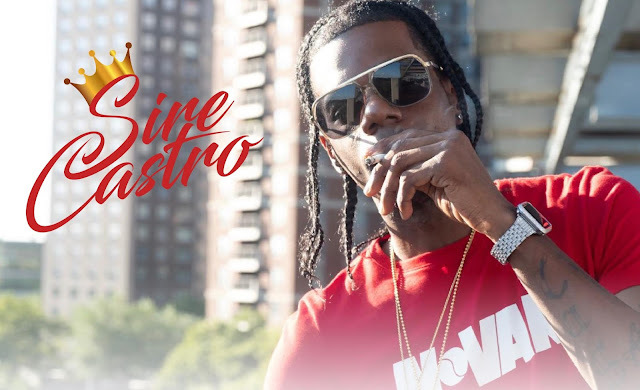 BRONX, NY – If you were to Google the name Sire Castro, you’d likely find stories about a very controversial battle rap with another up-and-coming rapper about a decade ago that took place in New York City in front of Sean Diddy Combs and the Bad Boy staff. There’s footage all over the Internet of that battle, and Castro became an overnight name because of that one event. But he isn’t an artist who can be encapsulated in just one moment. In fact, he’s a successful musician who has been producing hit after hit for more than just the past 10 years. Like his namesake, Fidel Castro, he’s taking the music scene by storm and impacting an entire country. Today, Sire Castro is launching a new single called “My Vest.” It’s a remake of the 1989 single “Too Hype” by the group In Touch – a song that was huge back in its day. Castro said he’s tapping into that success and using it to turn the song into a street version of the popular track. Castro said he first started being interested in rap when he was only 5 or 6 years old. His father was a DJ and loved music, and Castro grew up with that environment and influence. At age 8 he saw the classic hip-hop film “Krush Groove,” and a flame was sparked. Not long after he dominated at a fifth grade talent show with an original rap, and from that moment forward he never looked back. He credits legends such as Notorious BIG and Jay-Z for influencing much of his career, and he prides himself in paying homage to the styles of the old-school rappers and bridging the gap from those legends to the modern-day sounds that are popular across the country. Over the course of his career he has dropped hits such as “Gem Em Cash,” “A Week Ago,” and “18 Wheeler.” He has also collaborated with some big name sin the game, including: Jadakiss, Styles P, Queen Patra, AZ, French Montana, Cory Gunz, and RIP Stack Bundles. He has performed on the notorious SOB’s stage in New York, and has toured in other states such as California, Miami, North Carolina, Baltimore, Washington D.C. and Atlanta. This South Bronx lyrical assassin said he plans to continue his streak of hits with “My Vest,” and aims to use the success of that single as momentum going into the album he’s currently working on and which will release mid-year 2019.